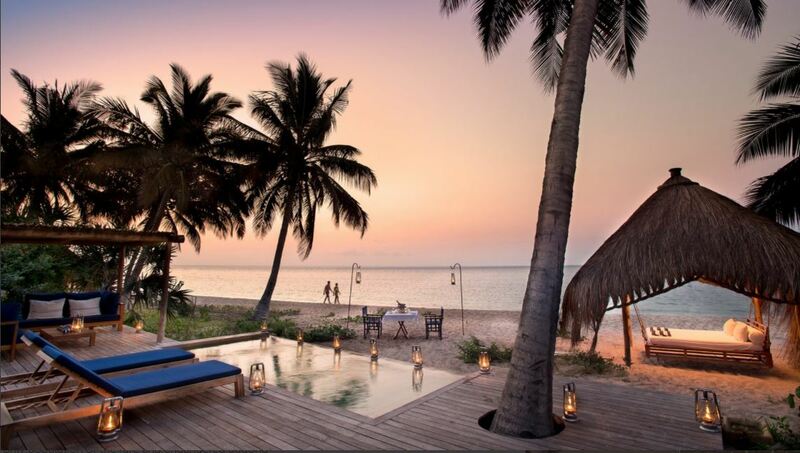 &Beyond Benguerra Island Lodge is a paradisiacal beach resort with traditional island beauty in the middle of the Indian Ocean. 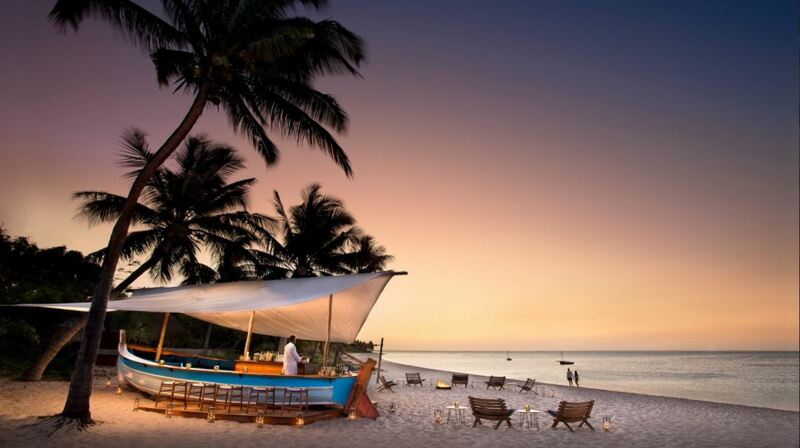 Situated on the second largest island in the sunny Bazaruto Archipelago, Benguerra Island lies off the coast of Mozambique. Its uniqueness comes from the fact that it is in a protected marine conservation region, giving visitors the chance to experience a pristine and authentic island safari. Strategically located overlooking the warm Indian ocean, &Beyond Benguerra Island Lodge offers bleach-white sandy shores, palm trees and a little bit of paradise. This luxury lodge offers guests the most incredible and breathtaking view of the lush tropical garden and ocean beyond. Their well-architectured lounge, which is set in cleverly under patches of shade, offers the promise of lazy days spent enjoying the sun, sand and sea. Stranded on the beach is a colorfully ornamented traditional dhow (a popular vessel found throughout Mozambique, Kenya and Zanzibar) that functions as a bar and service station. It is one of the ideal places to sit back and enjoy a cocktail, delicious food or a stimulating conversation. Your cuisine will be prepared by highly skilled chefs who take care of any dietary need you may have. After a long day filled with adventure and discovery, you can unwind under the attention of the experienced masseuse in the lodge’s premium spa. &Beyond Benguerra Island Lodge lies close to a natural and undisturbed coral reef that is home to all manner of marine life. Due to this, divers from across the world flock here to experience the underwater wonderland that this beach lodge has to offer. There is an abundance of tropical fish species to keep anyone occupied and captivated throughout their stay. In addition, Mozambique and it’s archipelago offers excellent game fishing opportunities. Spend a day out on the sea and experience the thrill of catch-and-release of Yellowfin Tuna and Blue Marlin. From freshwater lakes to Africa’s only dugong population, &Beyond Benguerra Island Lodge is a rare treasure trove of adventure.